So what’s common about motorcycles and washing machines? They both have repair manuals. But don’t be mistaken, these are not like those manuals that tell you that if you drop your cell phone in a sink it will most probably stop working. However, for easier understanding, usually they even come with a lot of technical drawings and photographs, it never tells you to seek professional assistance. The simple reason for that is that they are meant for professionals. Pro mechanics need these so they can quickly see how the bike is designed, and what is best for it. 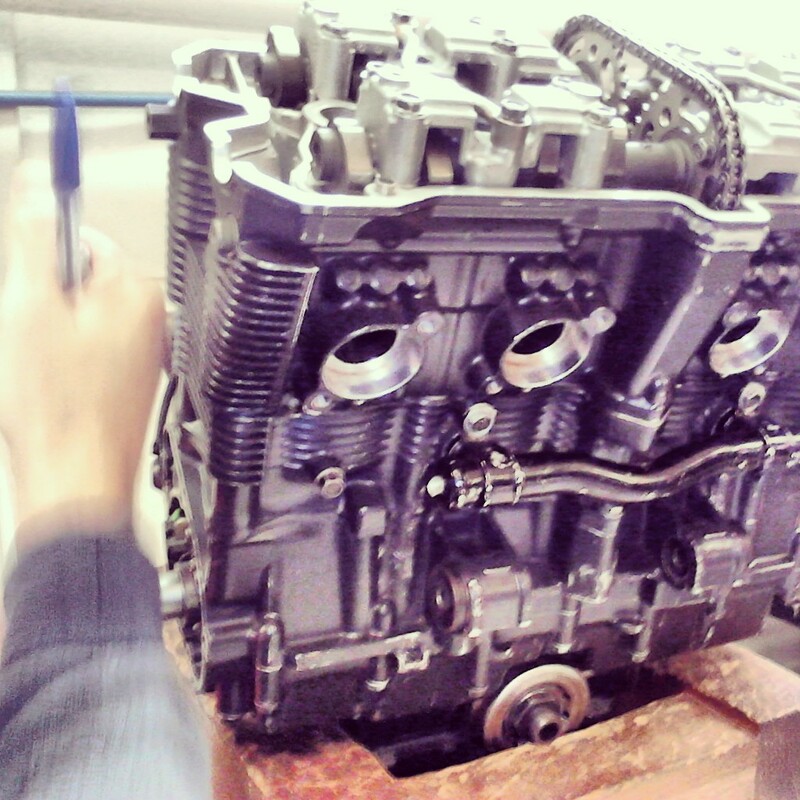 Many variables are determined by the manufacturer, who actually know the inside-out and the background of their bikes, hence being the creators, they know it better then any mechanic. 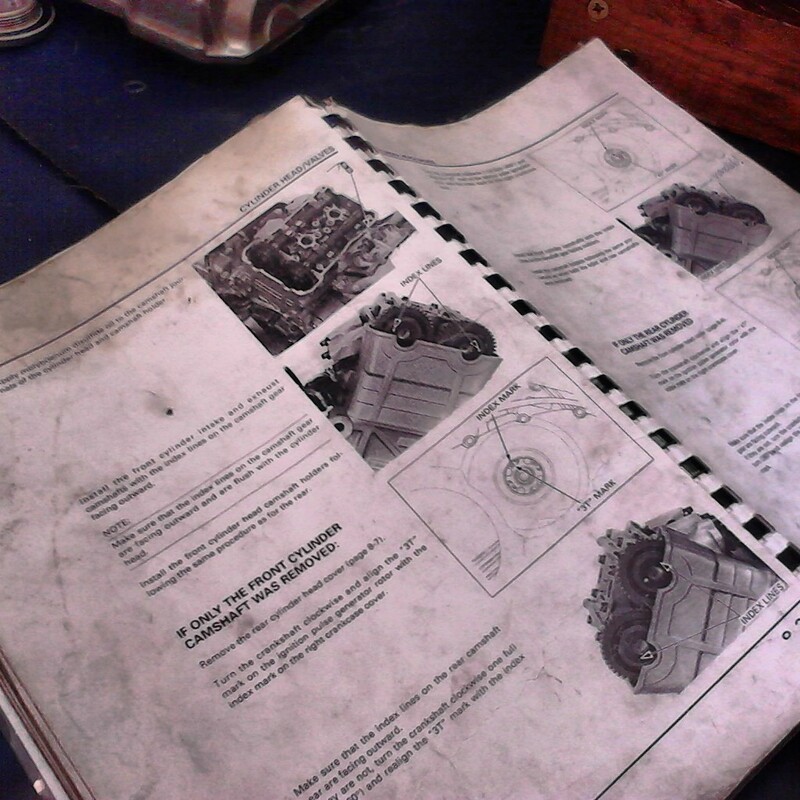 A GSXR-750 engine and the repair manual in our school.